Many miles were covered this past weekend, but it was so worth it. Nothing says “vacation” like spending a few peaceful days ocean side. 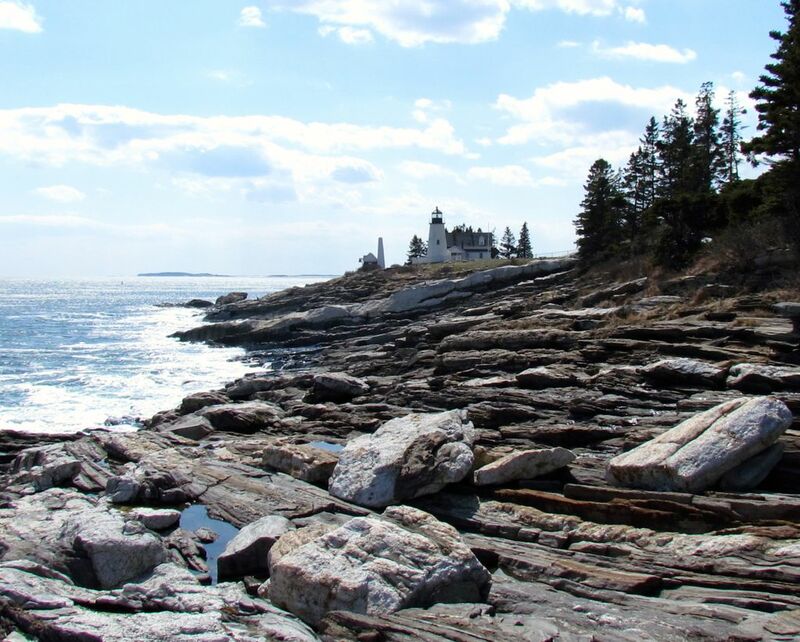 After visiting with our girls in Montreal, our Easter weekend road trip took us through Vermont where we covered some ground on the Interstate through the New Hampshire mountains to the seaside coast of Maine. Leaving Vermont’s I 93 Interstate behind, we entered the White Mountains. The sun over the early spring gray-green landscape hinted at warmer days to come. This is what the locals call “mud season” – the period between the ski season and the May long weekend when the pavement is gritty, the back roads are soft and muddy, the buds are forming on the barren hardwoods, tulips are sprouting in the garden beds and the land is springing back to life. The pleasure of touring country roads is the adventure of discovering unique places around every bend. In the village of Bethlehem, New Hampshire we found such a place: The Maia Papaya, a hip “coffee-house” serving delicious wraps and coffee. A perfect spot for a quick pit stop. 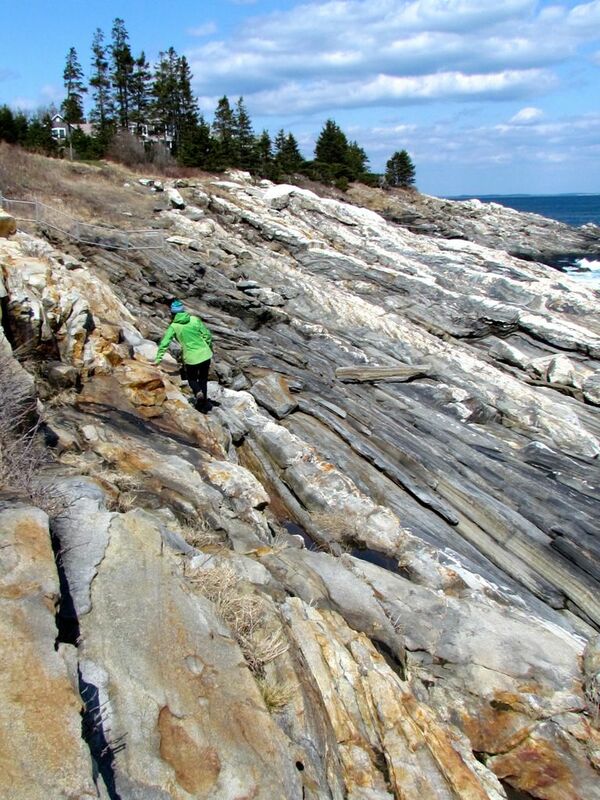 Welcome to Maine. 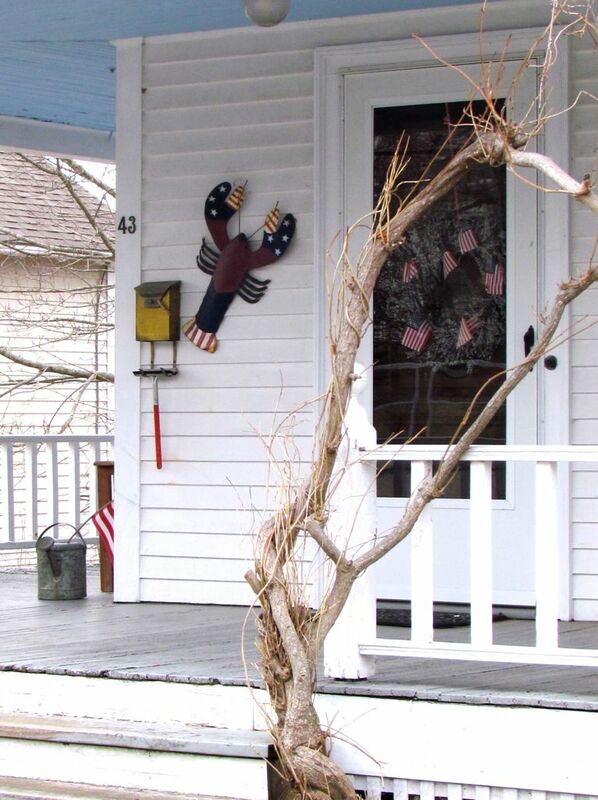 Patriotic seaside front door. 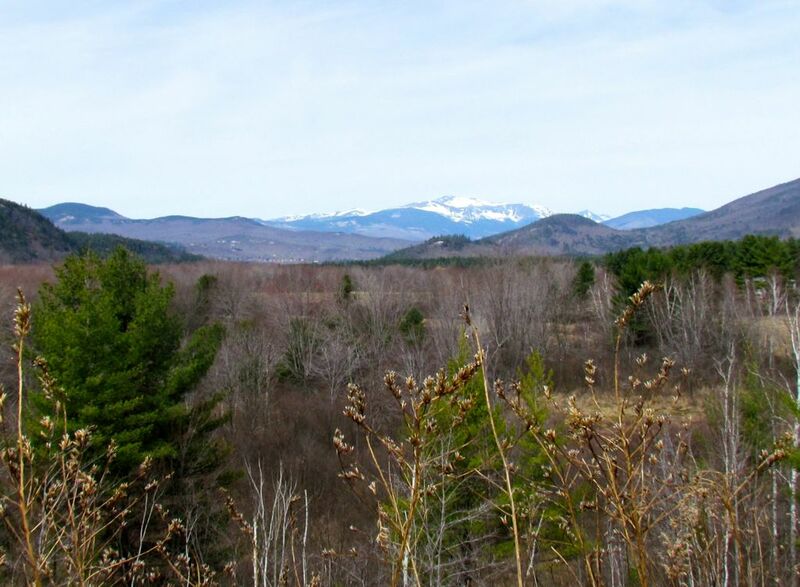 Leaving the White Mountains, we crossed the interior of Maine and arrived in Portland. As you go north-east from Portland the geography changes to a rugged coastline slashed with numerous rivers and ocean inlets. 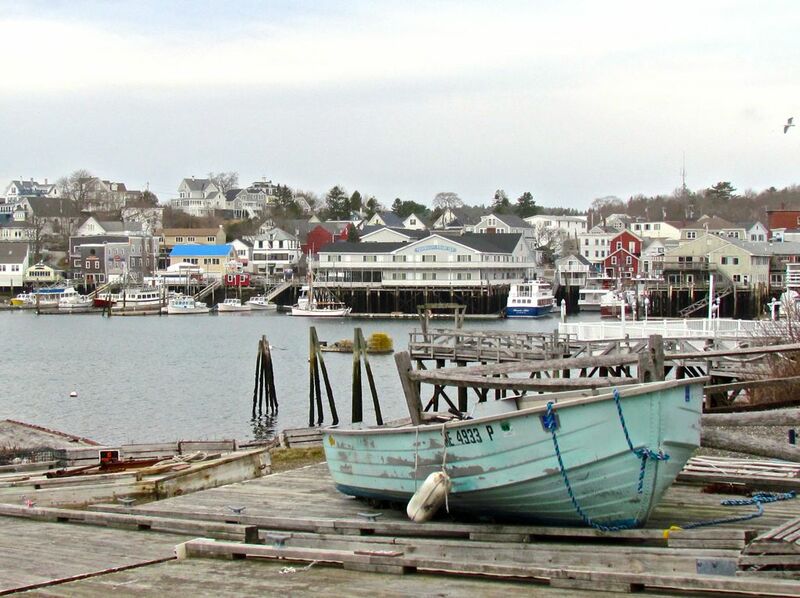 These long peninsulas are dotted with fishing villages, boatyards, marinas, and beaches. Heading to a destination without a reservation is always a little unsettling. 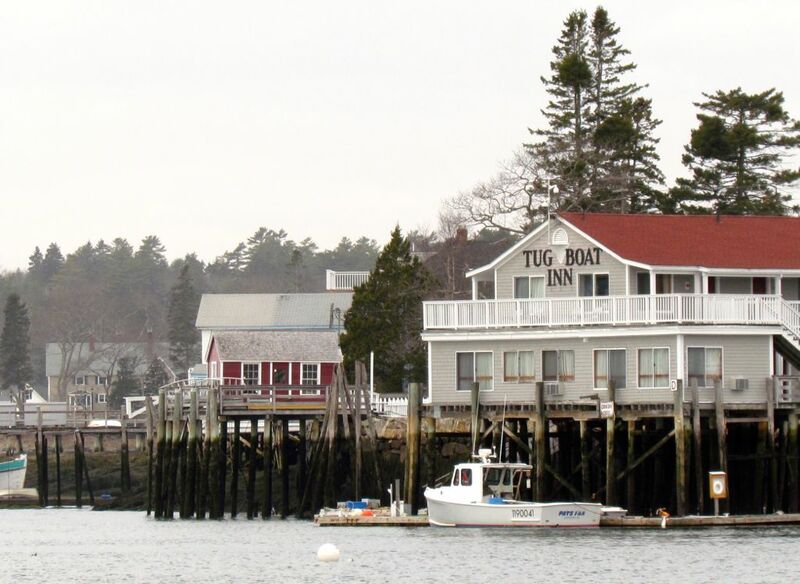 When we arrived in Boothbay Harbor, Ginette quickly spotted a fluttering ‘OPEN’ flag in front of the Tugboat Inn. “Sure we have rooms, we just opened today for the season.” — We didn’t have to spend the night at a chain hotel off the interstate, after all. Happy to have found a place on the waterfront, we settled in our small corner room with fantastic views of the harbor. It was a cool evening, so we bundled up in our fleece and warm hats ready to find some food. Driving makes you hungry. Seeking some off-the-boat seafood, we found what we were looking for at McSeagull’s, Eat, Drink & Flounder…just for the Halibut! — a casual hometown pub. We’d suggest to anyone planning a visit to the region to come mid-May or later, when most seasonal businesses re-open for the summer season. We visited a bit too early; however, everywhere we went the staff and locals were friendly and ready to chat. The hum of diesel engines fill the harbour as the fishing boats head out at 5:30 am. No need for an alarm clock here. After breakfast, we ventured out to explore the historic communities of the region. 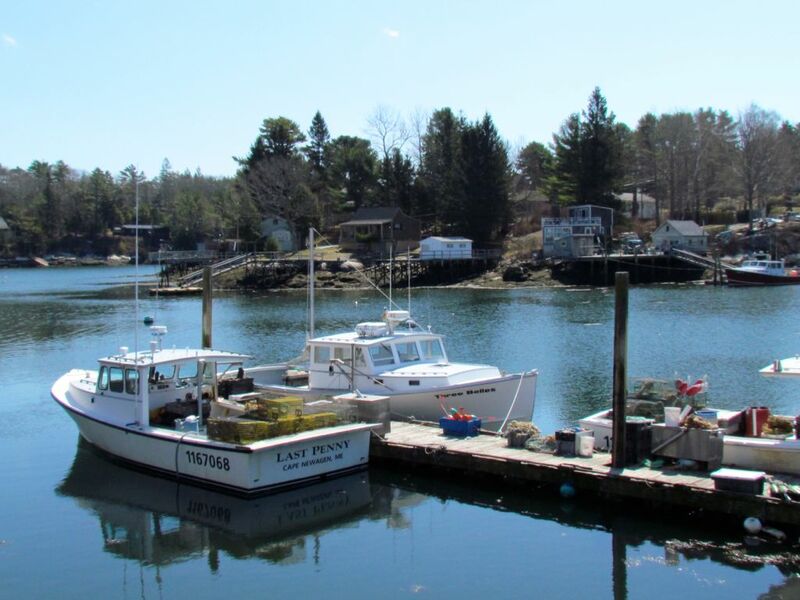 Boothbay Harbor is a typical coastal village with vistas of moored boats in the bay, white clapboard New England homes, art galleries, quaint boutiques and many restaurants where you can indulge in fresh seafood. 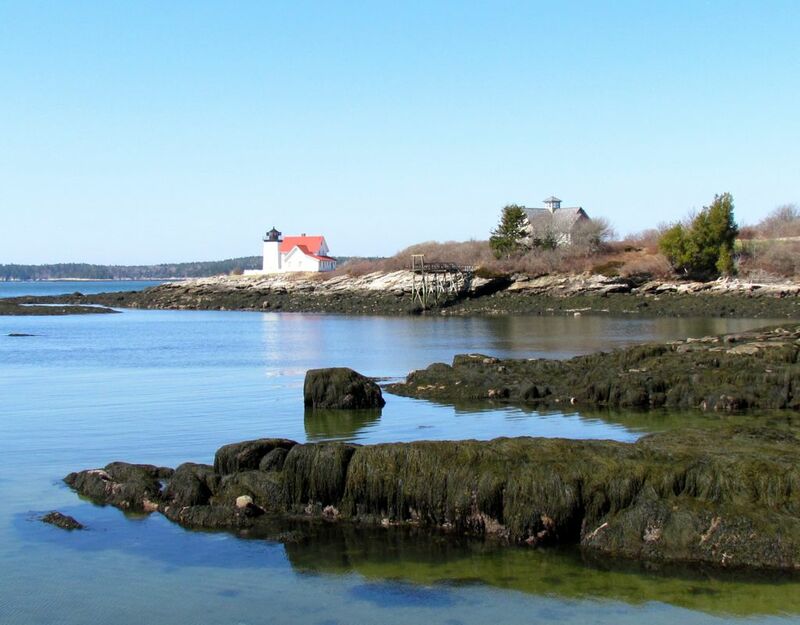 On Southport Island, a ten-minute drive from Boothbay, you can view one of the region’s five island lights. 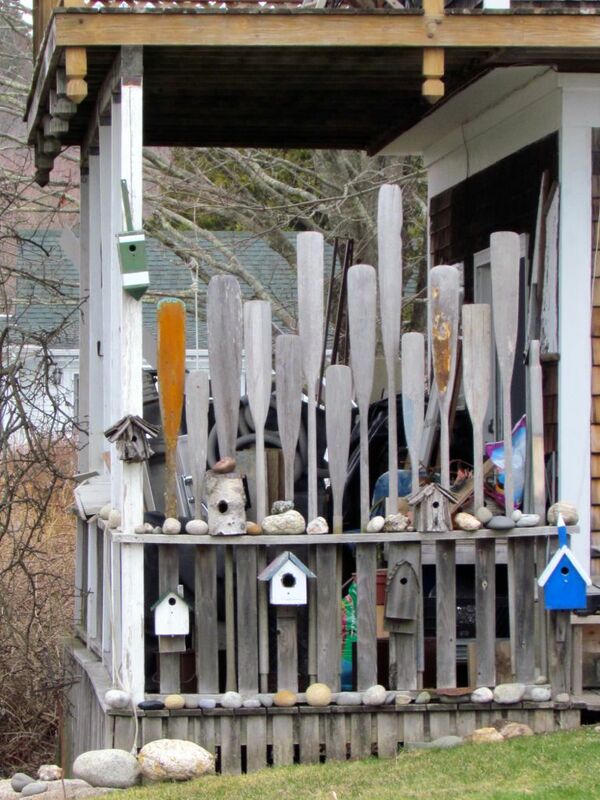 How creative is this paddle porch? 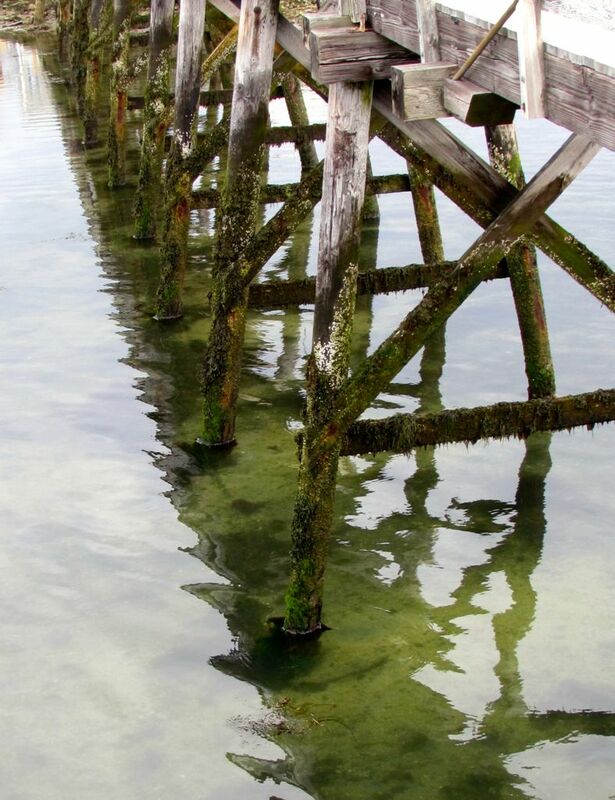 At Robinson’s Wharf, in his typical style, Gord struck up a conversation with a deck-hand as he was coming off the boat at the end of the fishing day. 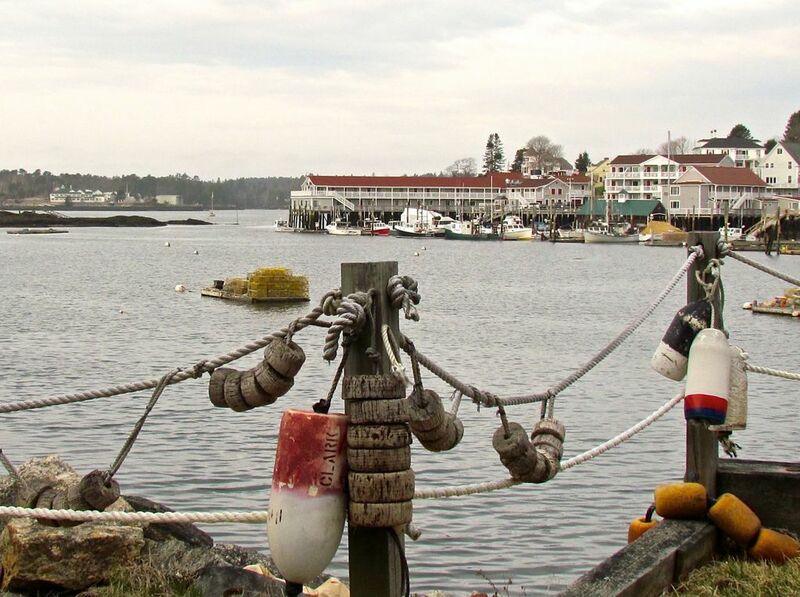 In Maine, some fisherman will go out year round. The harsh winter weather makes it harder and more dangerous for the fisherman to work. They work long days, going out as early as 5am and coming home at sunset. ‘Lobster pot’ is the name of the trap for catching the lobster, not what you cook your ‘bug’ (you guessed it) lobster in. 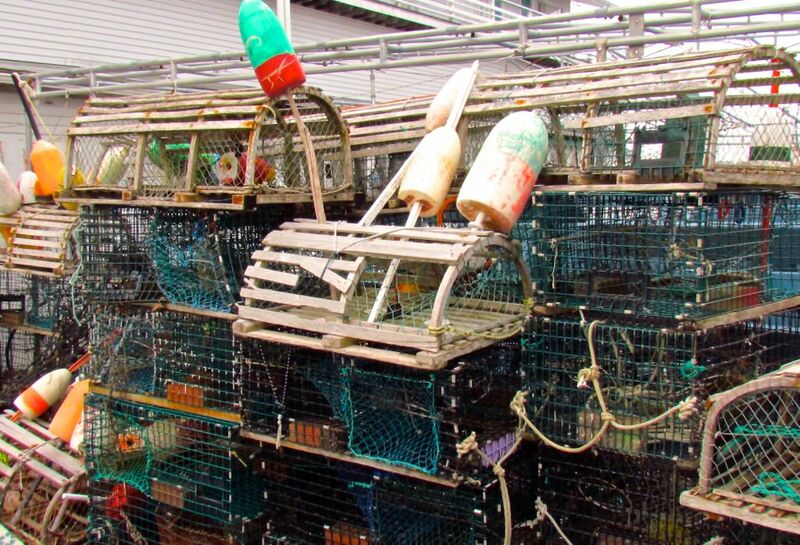 The lobster industry is highly regulated. Lobsters have to meet a minimum size: caught lobsters are measured with a gauge from the eye socket to the tail. 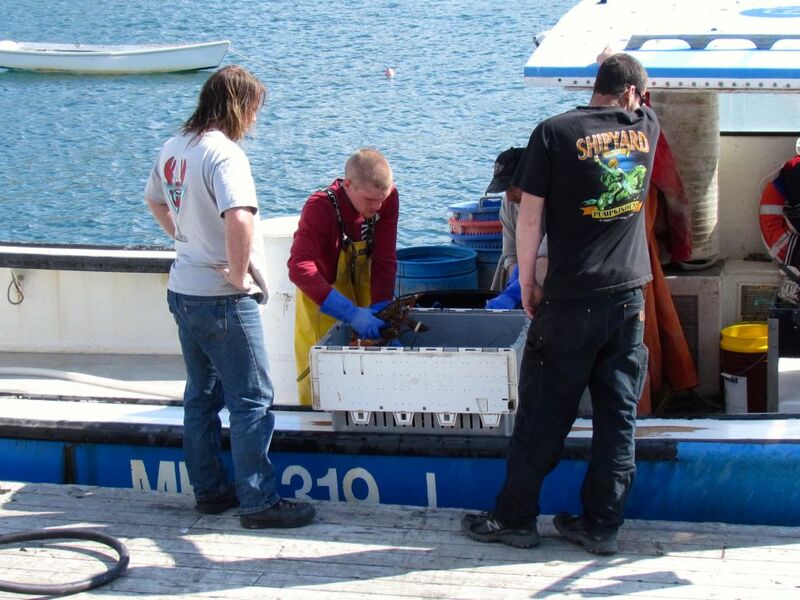 A fisherman will catch anywhere from 1 to 16 lobsters per pot, but on average, only one or two are of legal size. Many are caught and have to be thrown back in for being too big or too small. Each fisherman has his own buoys with their own colour scheme, this is how they know whose pot is whose. 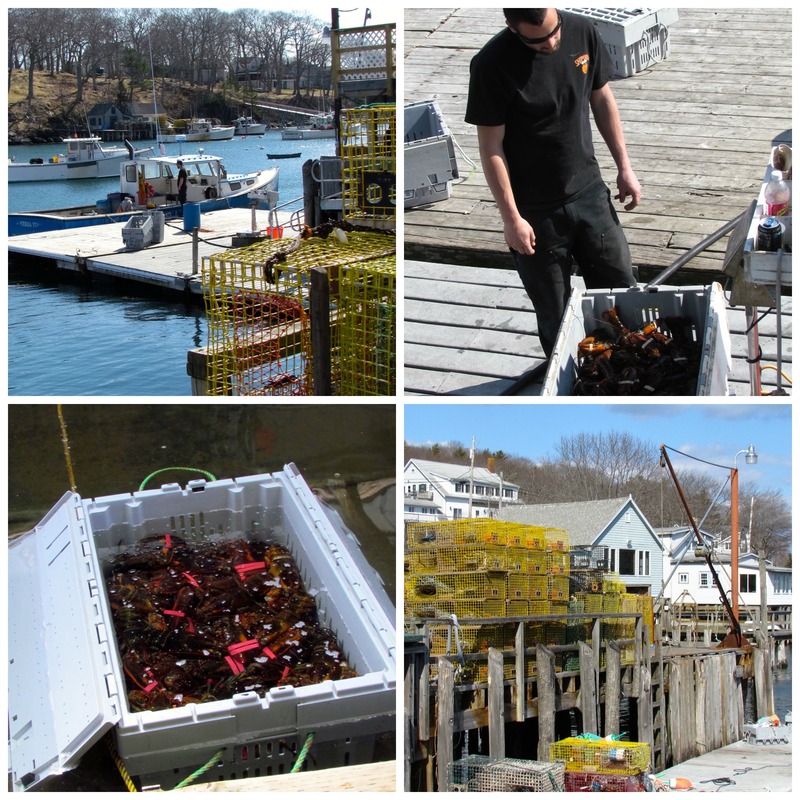 Lobster maturity period is approximately seven years to get up to market size. One fisherman we met had 600 traps, at a cost of $75.00 each, which he will keep on his front lawn when they are not in the water. 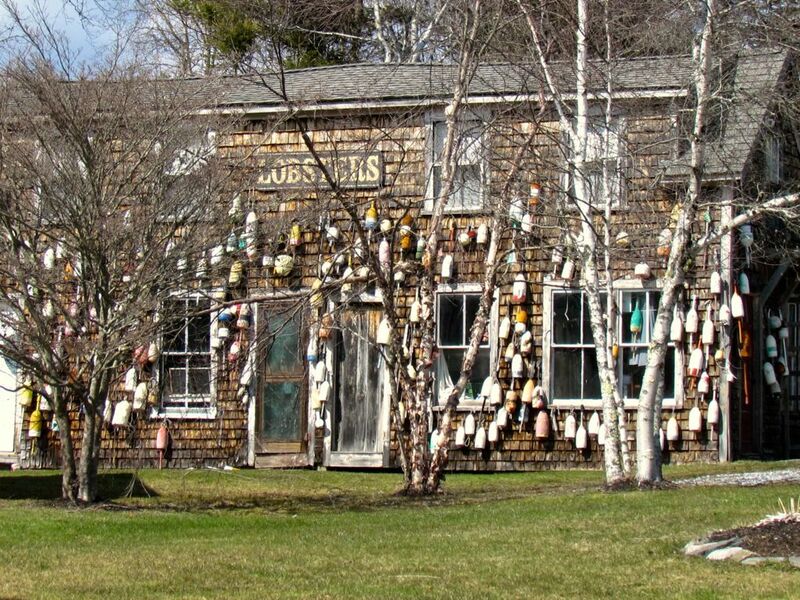 The fisherman’s lobster is credited against the bait and fuel purchases from the buyer. Moored at the buyer’s dock, getting ready to off-load the days catch. 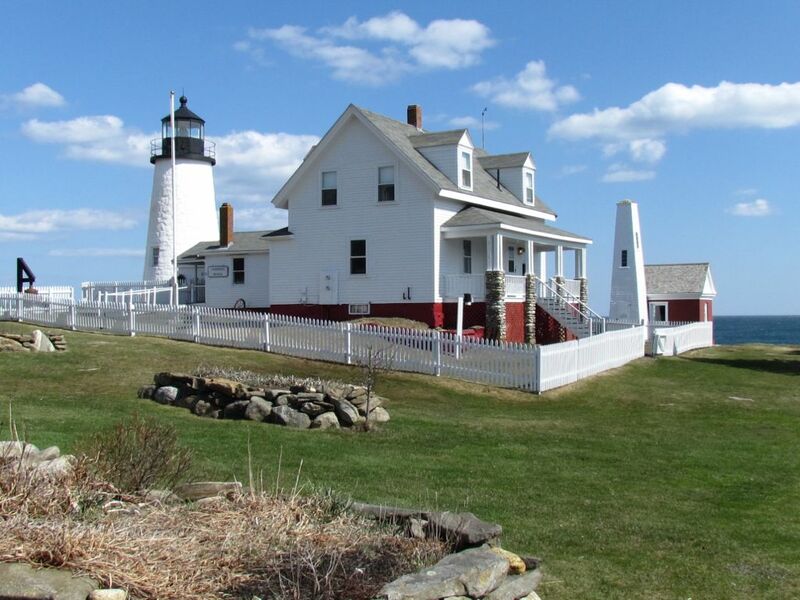 A short drive from Boothbay to the neighbouring peninsula, you’ll find the Pemaquid Point Lighthouse Park. 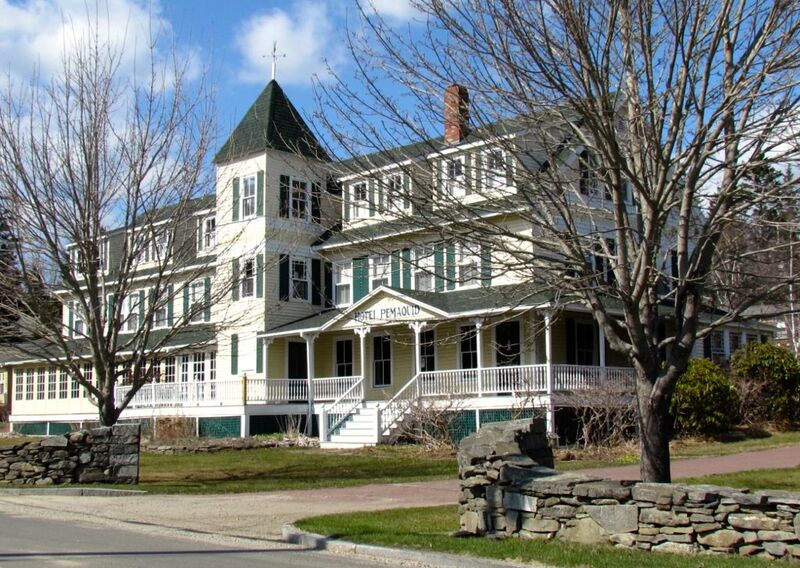 Some twenty-five years ago on a travel adventure much like this one, by chance we stumbled on the Hotel Pemaquid. How romantic to revisit the place where we spent a night many moons ago. Our seaside getaway ended back at Robinson’s Wharf where one can enjoy dinner and live music. Picture it, a room full of middle age couples listening to some Neil Young, Willie Nelson, Rolling Stones and other country-rock by the low light of the oil lanterns. All this while enjoying a good ole’ fashioned boiled fresh lobster dinner complete with clam chowder, steamed clams and a cob of corn. 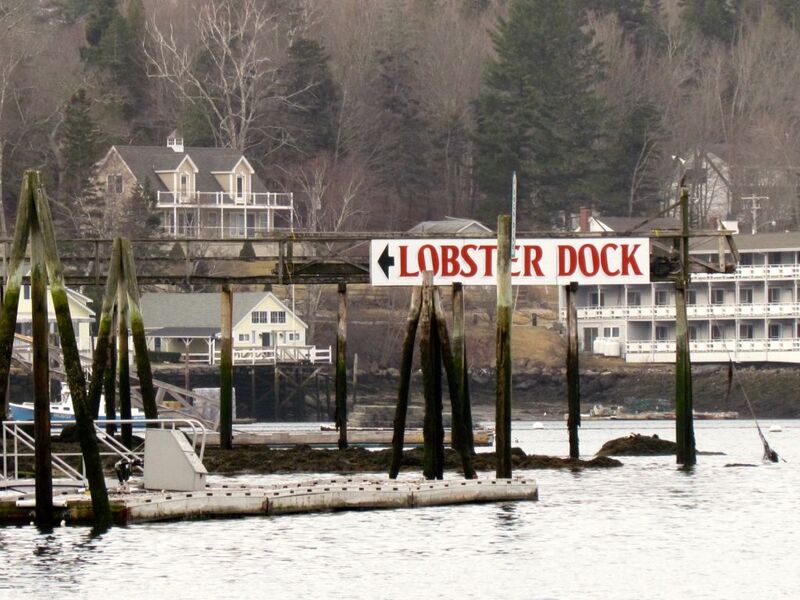 As the road signs say in Maine ‘The Way Life Should Be’ — and so was our visit!